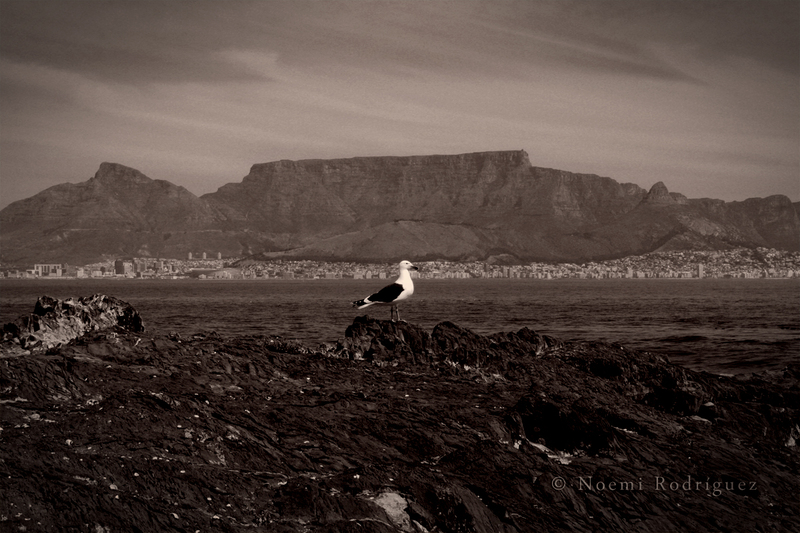 My second stop at Cape Town was going to be much longer than the previous one. I arrived at the “commune” – that’s how my capetownian couch surfing friends called their house, and the word was simply perfect for it. What I liked most about them was that you never knew what could happen next, so that same night we ended up at a rock concert armed with our bandanas on our foreheads like a glam band from the eighties. Apart from my life at the commune, I started sightseeing in Cape Town and its surroundings with some of the people I’d met in Hermanus. 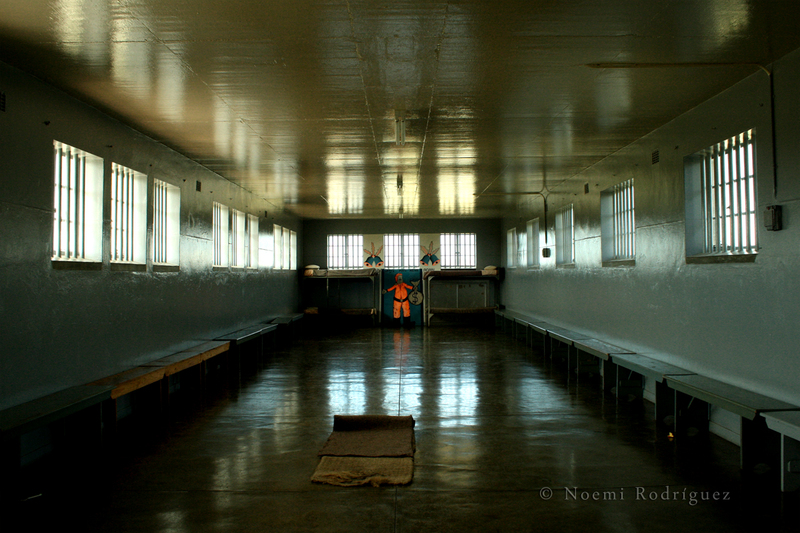 I couldn’t leave Cape Town without paying a visit to Robben Island, the prison where Nelson Mandela spent 18 years of the total of 27 that he was imprisoned. 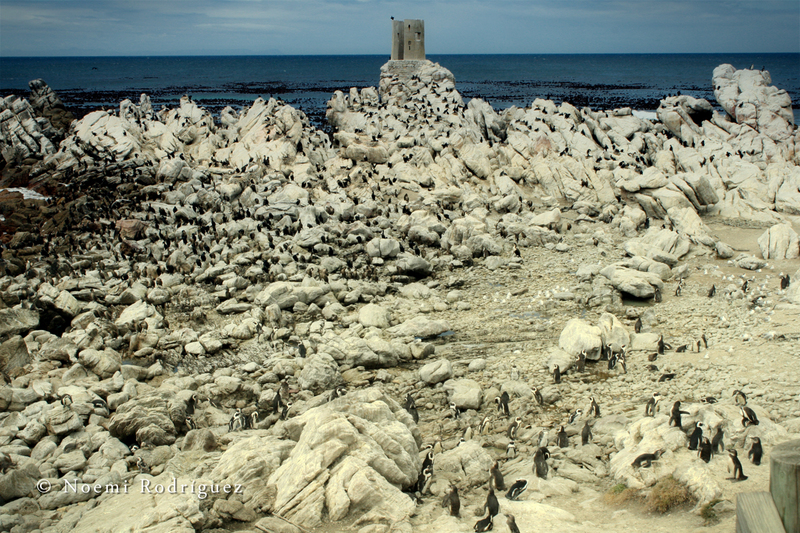 This island is placed 12 kilometers away from Cape Town. Due to this isolation, it had previously been a hospital for people with leprosy and the mentally and chronically ill. 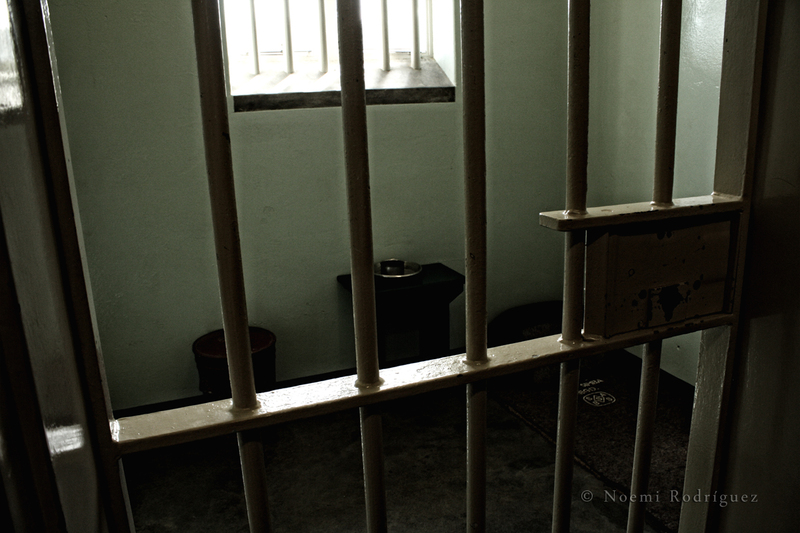 In 1964, Nelson Mandela started his imprisonment years there, condemned because of his opposition to the racist apartheid regime. After more than 18 years in a tiny cell, he was transferred to two other different prisons until his release in 1990. 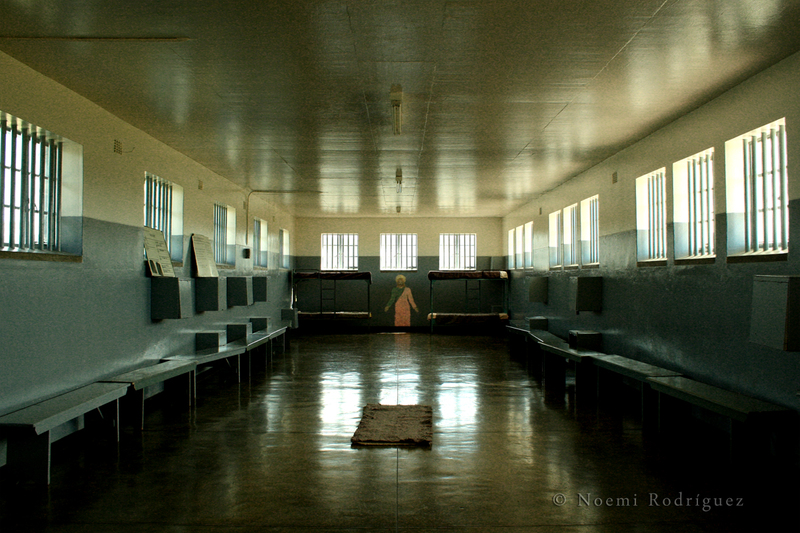 Nowadays Robben Island has turned into another tourist attraction. 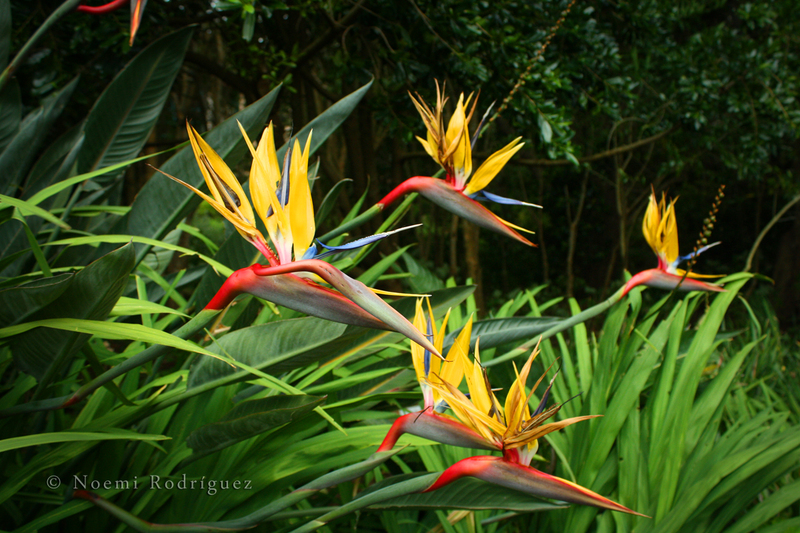 It receives many groups during the day, so it’s always full of people and the tour is not very long. But I was really interested in the history of this place, and the fact that the guide was an ex-convict of the male-only prison made it even more interesting. He recounted his prison experience with devastating realism, even if it sounded like if he was reading a paper, because it was obvious that he had told the same story too many times. One of our day trips was a road trip through Cape Peninsula, while we tried to explore it and find places without tourists – which was difficult. But we discovered an empty beach with white sand dunes, it was magical. 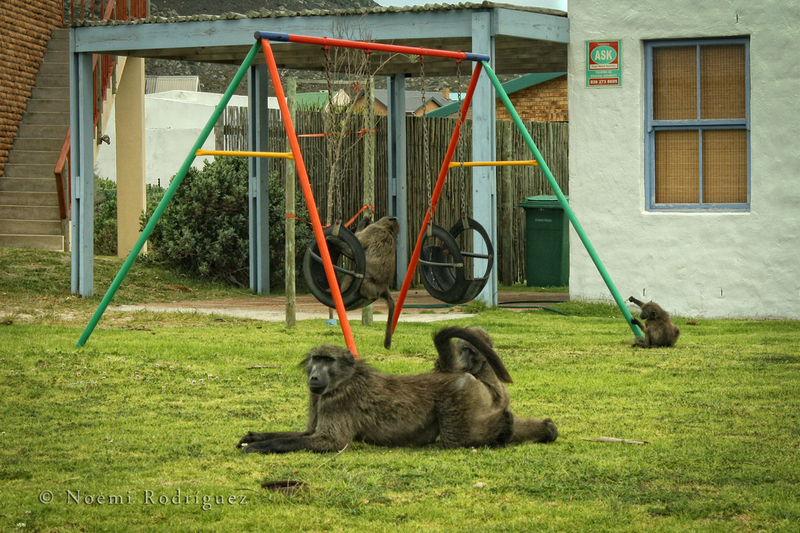 And of course, as is characteristic of the African continent, we saw many animals hanging around. 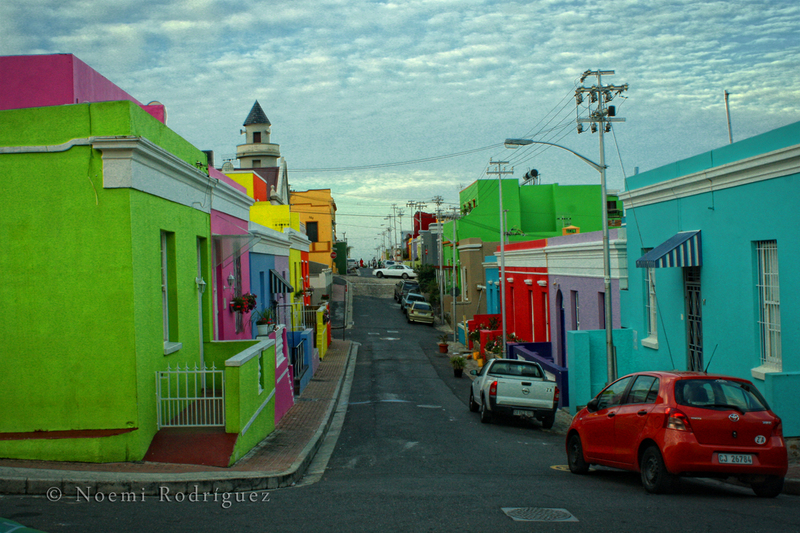 At the city we visited Bo-Kaap, formerly known as the Malay Quarter. It’s a Muslim neighborhood where the houses are painted with bright colors; the atmosphere was very peculiar. We had an amazingly tasty Malay dinner at a halal restaurant. After all this moving around I was already an expert taking the minibus taxis within the city. I entered the van, gave my 4 Rand (around 40 euro cents) to the “ticket guy” – he was the one who collected the money, opened the door, shouted the destination on the streets, and told the driver when to stop by a knock on the metal wall – and said where I wanted to stop. I felt capetownian! As I explained in another post, it is unusual for a white person to use this public transport, they usually go about in their cars. After all this sightseeing I was ready to hike up Table Mountain, the number one on my list of favorite things in Cape Town! When I decided that it was time to leave Jeffrey’s Bay, I took what is called the “Garden Route”. It’s a coastal route which goes from Port Elizabeth to Cape Town, and it’s very popular for backpackers because of the wonderful views, the nature, and the many activities that it has to offer. I got a ride with a group of students that were staying at the backpackers. They were traveling on a small bus and the driver, a South African, offered me a ride. He was worried about me traveling alone in his country. They dropped me off in Knysna, my first stop on the Garden Route, where I learned how to cook some South African food and where I listened to some Israeli rock music for the first time. I discovered then, as some Israelis told me, that I could pass for one of them because of my appearance and the way I speak English. With the backpacker’s owner’s help I got a half price ticket to Cape Town on the Bazbus, a minibus that takes backpackers along the South African main touristic routes, and you can make as many stops as you want along the way. I left Knysna and on that bus I met Susanne, a German girl with whom I was going to share my next destination, Wilderness. When I arrived I borrowed a bike at the backpacker’s and went for a ride through the town and the mountains. People waved at me when I passed, that was the first time of many during the trip. It’s certainly one of the things I miss the most being here in Europe. The next day I went to meet Susanne. 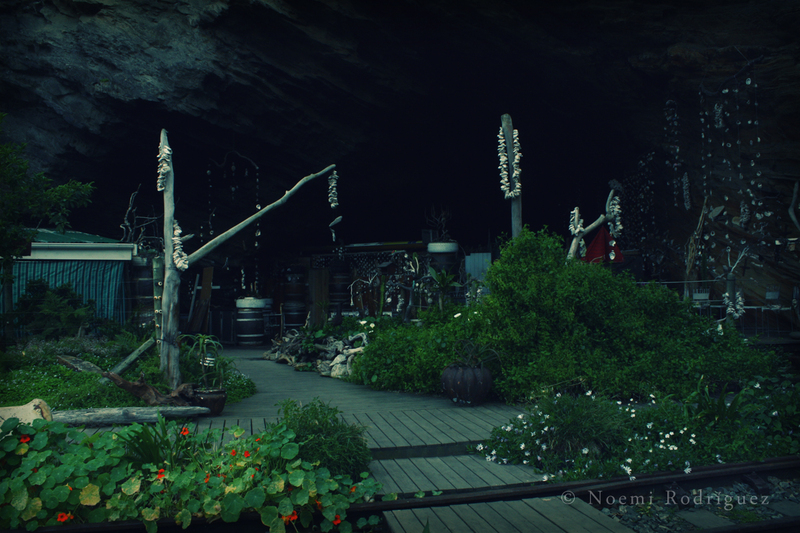 She had discovered a place in Wilderness and wanted to take me there, so we walked along the old railroad tracks until we arrived at an abandoned restaurant on the tracks, under a cave. 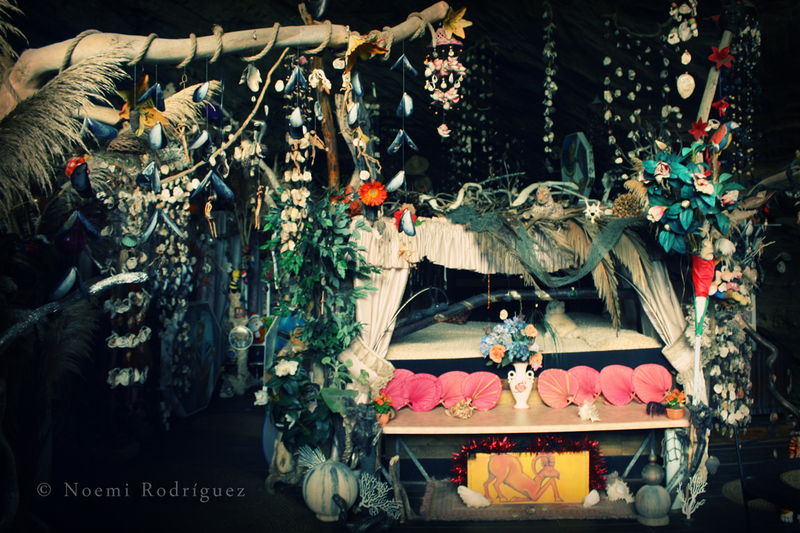 The place was decorated with thousands of shells, it was quite impressive. There she introduced me to a man in his fifties and she told me his story. 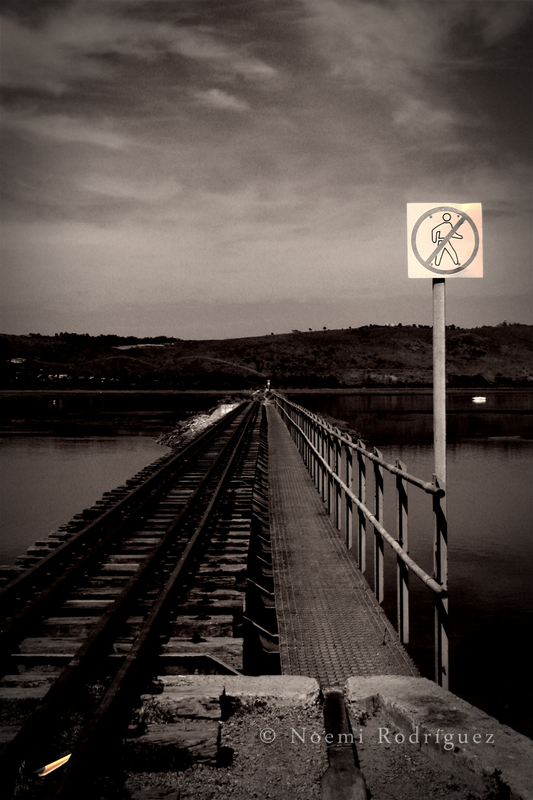 His life had taken a wrong turn, he was taking drugs, and he was drifting. But he felt God calling him and asking him to change, so he found the old restaurant and turned it into a homeless shelter. He showed us around, explaining that there were 13 beds but at the moment just two men were living there with him. One of them had found a job and was contributing for the expenses, but the other one wasn’t helping much. He also showed us a small library, lit by candles. His voice was really soft and sweet, and he gave me the impression of being a wonderful person. Susanne had previously told me that they were running out of sugar, so we gave him a bit of money, and I said “for sugar”. He was very grateful, they basically live on people’s donations. We said goodbye to him and I arranged to meet Susanne later for some canoeing and hiking. We had a great time! The views were astonishing; I fell in love with Wilderness. In the evening we took the Bazbus to the next stop, in her case Cape Town because she was flying back to Germany, and in my case Mossel Bay, where I saw the bioluminescent plankton glowing at night for the first time, and where I did shark cage diving. This is basically what the name indicates; entering a cage at the sea and being submerged into the water while the sharks pass in front of you. 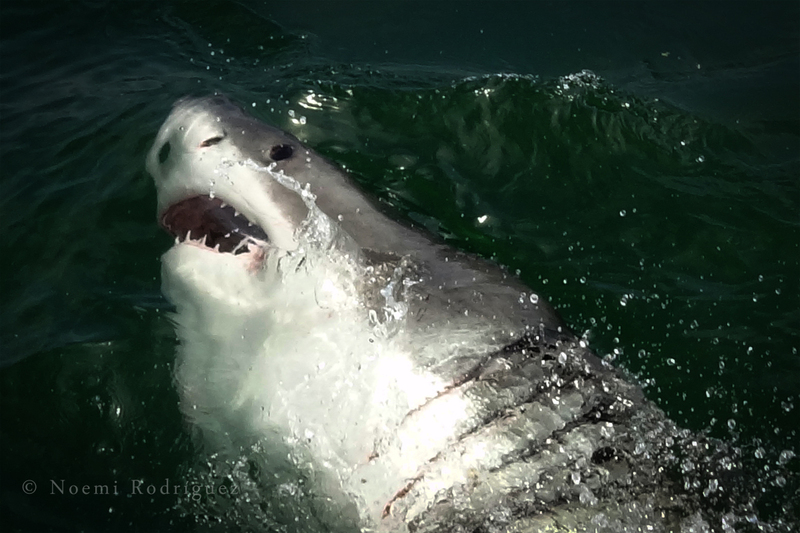 It was an exciting experience, but the boat crew used dead fish to attract the sharks – which totally worked – and in my opinion this can cause alterations in the sharks’ normal behavior. Surfers complain because this practice incites the sharks to associate people with food, and they are convinced that this is the cause of the increasing number of shark attacks on surfers on the South African coast. After Mossel Bay I headed to Swellendam, a little town where I slept inside a cabin at the empty backpacker’s courtyard, using a gas lamp because there was no electricity. The next morning I went hiking alone, and in the afternoon I took the Bazbus again, where I made three new friends. 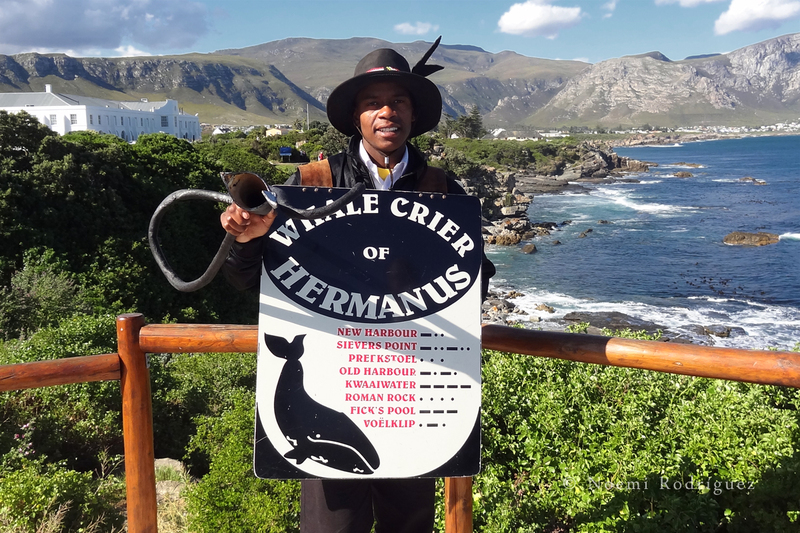 We stopped in Hermanus, a town famous for its whale watching, and it was the best time of the year to do it. So I got to see many whales; from far away, but I saw them. They even have a “whale crier”, a man with a self-made horn who scours the city staring at the sea watching for whales, and sounds a different tune depending on where the whale has been sighted, using what looks like a kind of a Morse code. One of my new friends had a ride arranged with two other friends that were going to pick him up at Hermanus and drive to Cape Town along one of the most beautiful rides in South Africa. So I joined them and that’s how I met Dag, a Norwegian who was following a similar route to mine, and whom I would travel with for the next month.